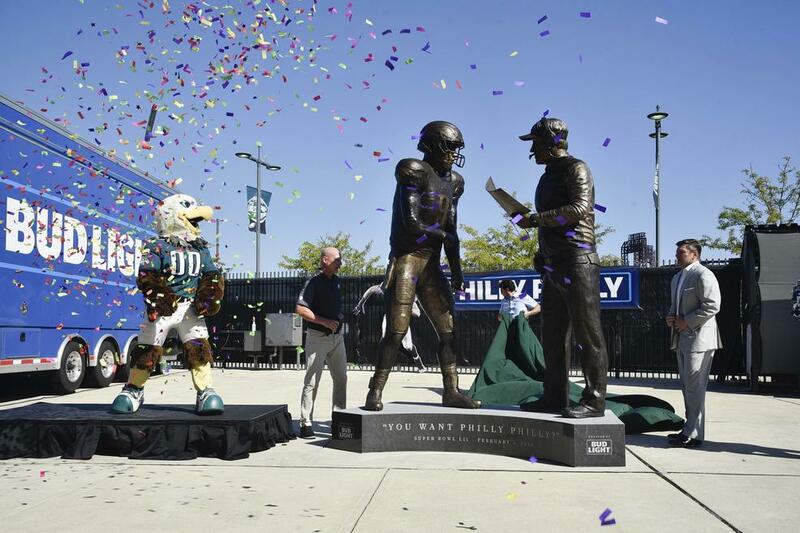 The “Philly Special” is now immortalized in bronze outside the Eagles stadium. The Statue commemorates the winning play that crowned the Philadelphia Eagles as the 2018 Super Bowl LII champions. It took sculptor Raymond Gibby about four months, using a traditional lost-wax process to construct the 9-foot-tall statue commissioned by Bud Light as part of their "Philly Philly" slogan campaign. You can read more about the unveiling at NBC News and Fox. Check out this exciting report about the unveiling of a sculpture honoring Professor Barnum at Dixie State University. Sculpted by the wildly talent Annette Everett. "The sculpture, which was completed, delivered and installed just days earlier, was created by local artist Annette Everett. Everett said she based it on an image of Barnum holding a snake, which she found in a copy of Dixie State’s 1964 yearbook. The statue also depicts a small alligator resting at the bespectacled, suit-wearing Barnum’s feet." A huge congratulations goes to Marty Dawe and his team at Cherrylion Studios for their beautiful new sculpture of Martin Luther King Jr. that was recently installed at the Georgia state capitol in Atlanta, GA. There was a special unveiling ceremony on the capitol grounds with many of King's family in attendance- including his daughter, Bernice King. Atlanta Mayor Kasim Reed said during his address at the event, "This tribute is important and a lasting statement about the value of inclusion, the strength of our diversity and the power of grace and how it changes hearts,"
"His arms are folded. His stare is intense. In bronze, as in life, TCU’s Gary Patterson stands forever now as the essence of a modern football coach. Focused and fearless.